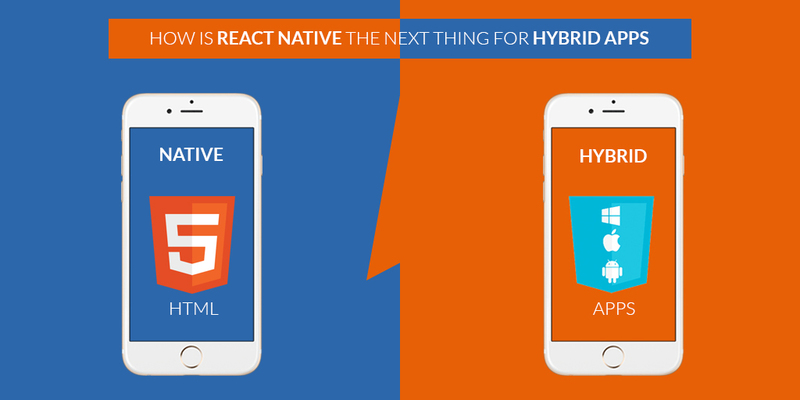 HomeSmartphonesAndroidHow is React Native the next thing for Hybrid apps? Code Reusability: Re-usability is the major advantage of React Native. You can develop a common, reusable code for both Android and iOS devices at the same time, while also embedding native code wherever necessary in order to give the app a more platform-specific authenticity. This way, the requirement of recruiting different teams of developers to work on the same app for different platforms gets eliminated. Businesses can save a lot of money and time by hiring the right React Native developers who can finish the job in the limited time and give desired results. Easy Third Party app compatibility: React Native allows for easy third-party app integration. For example: if you want to add Google map functionality to our app, you can easily link it with the native module and ultimately tie up the map with your device’s functions like rotate, zoom and etc. Remember, the integrated APIs do not compel any load onto the device, thus ensuring the much smoother performance of the app. Better developing environment: With React Native, developers enjoy the app development process. First of all, it eliminates the need to learn platform-specific layouts and secondly lets you incorporate React Native components to an existing app, irrespective of the code it is written in. So, if you wish to add a certain feature to existing app, you can simply use the component of React Native library as a plugin and enhance the functionality of your app without rewriting it from scratch again.